Brenner FIT, the pediatric obesity program at Wake Forest Baptist Medical Center's Brenner Children's Hospital, was developed as a two-year grant by Kohl's through its Kohl's Cares Program. The program supports children's health and education in the community. With the grant, Brenner FIT created the mobile kitchen. The Kohl's mobile kitchen serves low-income families in their communities two times each month. The program provides individuals with cooking classes led by a Brenner FIT chef. Classes offer everything from cooking tips and recipes to ways to prepare inexpensive yet nutritional meals. 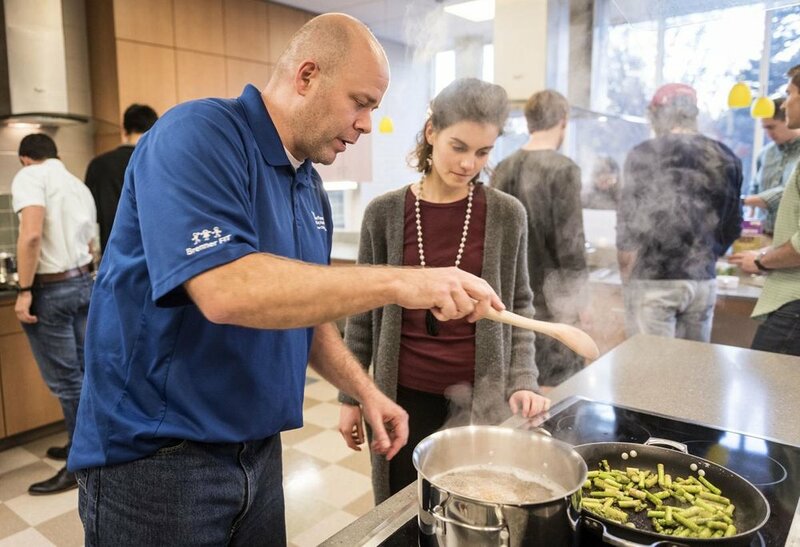 "Over the last decade, Brenner FIT has found that instead of just teaching quick and healthy recipes, families have better results with hands-on instructions focused on how to cook, how to grocery shop and how to plan meals," said Joseph Skelton, M.D., associate professor of pediatrics at Wake Forest Baptist. "Through our new Kohl's Cooks mobile kitchen, we can offer this hands-on interaction to everyone in the community. These are essential skills if a child and family aim to eat healthier." Dr. joseph skelter teaches a cooking class through the brenner fit program. The kitchen is housed in a cargo van and comes with four large carts that hold kitchen essentials: an oven, a hotplate burner, and pots and pans. Each cart also holds utensils, kitchen tools, and groceries to cook with. The mobile unit was designed with enough space for two adults and two children to cook a meal together. Classes offered by the mobile kitchen program are 90 minutes in length and are offered in English and Spanish. "With this practical experience, children and families will certainly be better supported in their journey to make healthy food choices," Skelton said.